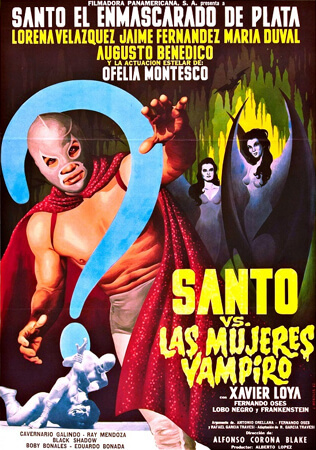 When zombies start committing robbery and kidnapping orphans, it's up to luchador El Santo to stop them. 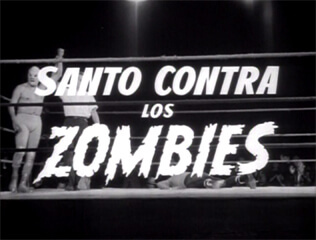 Invasion of the Zombies (originally titled Santo Contra los Zombies or Santo vs. the Zombies) is a bizarre blend of horror, action, mystery, and professional wrestling. 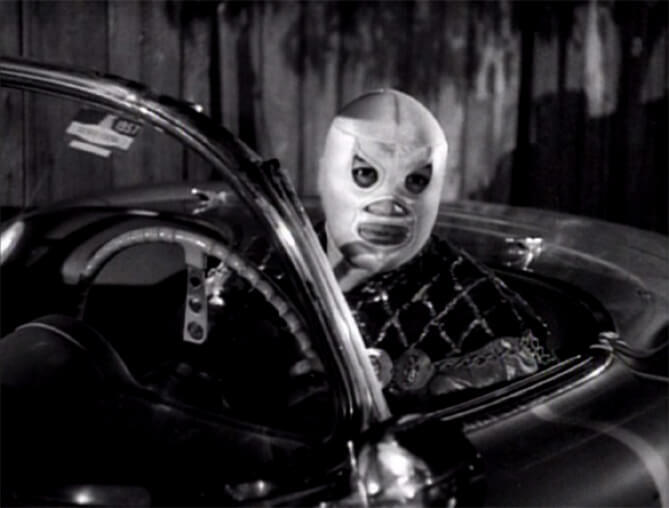 Our hero is Santo, el Enmascarado de Plata, portrayed by lucha libre legend El Santo. 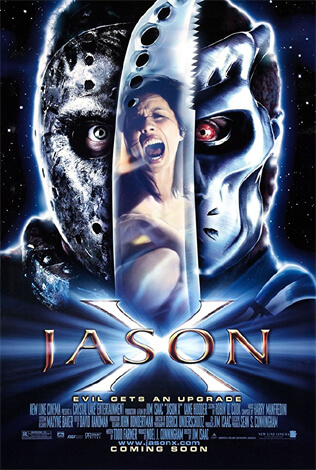 The character in the film is an extension of the in-ring character, and his clash with zombies is as much a part of Santo's history as any championship bout. Santo, luchador by day and crime fighter by night, is called in by local detectives to help find a man who's gone missing and to deal with a pack of criminal zombies. He thwarts an attempted orphan kidnapping, pursues zombies in his convertible, and even faces one of them in the ring. As these monsters try to defeat and unmask Santo, he seeks the identity of the true villain. These are not George Romero's flesh-eating zombies, but pre-Night of the Living Dead Haitian zombies. 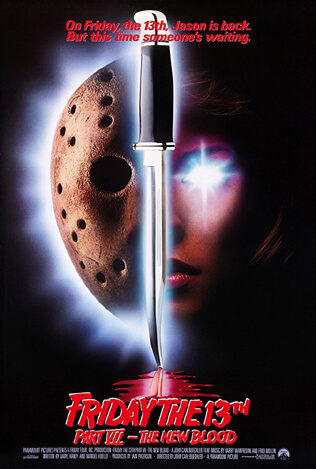 The reanimated corpses are impervious to bullets and under the control of a criminal mastermind. 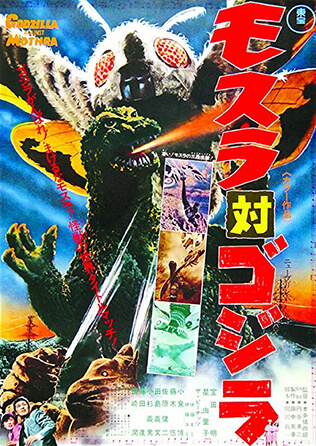 While not entirely grotesque, the lumbering monsters are unsettling in their own right, popping up when least expected and even overpowering Santo by outnumbering him and no-selling his attacks. 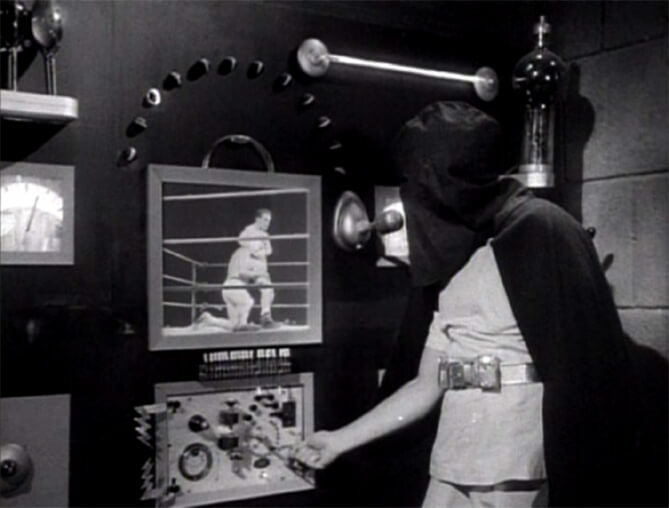 Santo is a sort of Batman-esque crime fighter, if there was no Bruce Wayne and instead Batman spent the daylight hours defending his middleweight championship. The fight scenes outside the ring are very similar to Santo's matches, even featuring such moves as the airplane spin. The story is likewise an extension of the wrestling world, with Santo failing to earn a clean victory over the zombies until the film's climax. Our villain hides his identity with a black hood, and his fight with Santo parallels a traditional mask vs. mask match, where the loser's face is revealed to the audience. 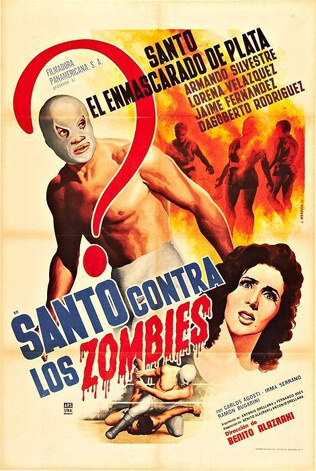 Invasion of the Zombies establishes Santo as a hero in this weird blend of movies and pro wrestling, effectively setting up his fifty (or so) other films.